Dr John P Nolan is an Orthopedic Surgeon Board Certified in both Orthopedic Surgery and Sports Medicine. He is one of the founders of our medical group. Dr Nolan grew up in Huntington Valley, PA and attended La Salle University. He earned his Doctorate of Medicine degree at Jefferson Medical College, Thomas Jefferson University, in Philadelphia. He completed his residency in Orthopedic Surgery at the Medical College of Pennsylvania, where he earned an appointment as a clinical instructor, and completed additional post residency training in Sports medicine at Temple University and the University of Pennsylvania. He was appointed clinical instructor at the orthopedic division of Laser Centers of America, where he developed laser instruments for use in arthroscopy. 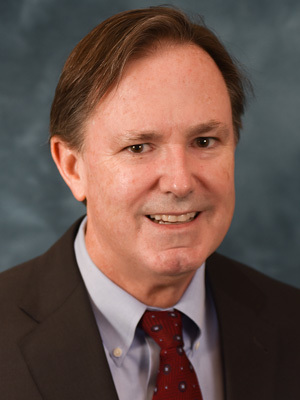 Dr Nolan has served on the medical executive committee of Capital Health (2002), on the Board of directors of the Mercer County Surgical Center (2001-2012) and was the founding director of orthopedic trauma at St. Mary Medical Center from 2012 thru 2016. Dr Nolan was one of the first surgeons in the Mercer Bucks area to perform outpatient total hip and knee replacements, as well as the use of computer navigation and robotic assisted joint replacements. Dr Nolan lives in Upper Makefield, PA and is married with six children. Dr. John Nolan, MD is featured in an article on NJ.com discussing knee injuries with tennis players. Click here to read the article. "Have been a patient with Mercer Bucks for over 30 years. Most of my visits have been with Dr Nolan. Dr Nolan has been fantastic with me over all those years. Excellent Dr! He has done surgery on me several times for various things and the outcome has always been excellent. He is not knife happy and resorts only to surgery as a last resort. He has seen my wife and children as well, all with great results. I would recommend him highly to anyone!" "I had major problems with my right knee. He ordered the proper MRI and gave me the proper diagnosis. He did a great arthroscopic procedure on me. Dr. Nolan continued to be a great doctor. He is highly recommended in my book."